The whole stripping took about 10 hours with 2 people, and then some hours to finish off the details and clean up. 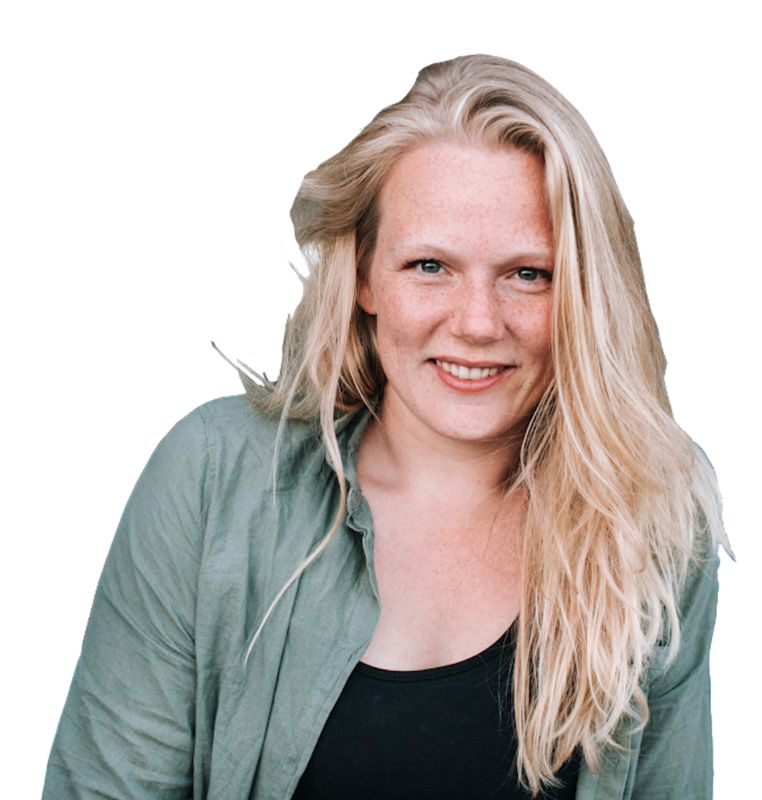 Want to get right to the point and don’t feel like reading the entire blog? 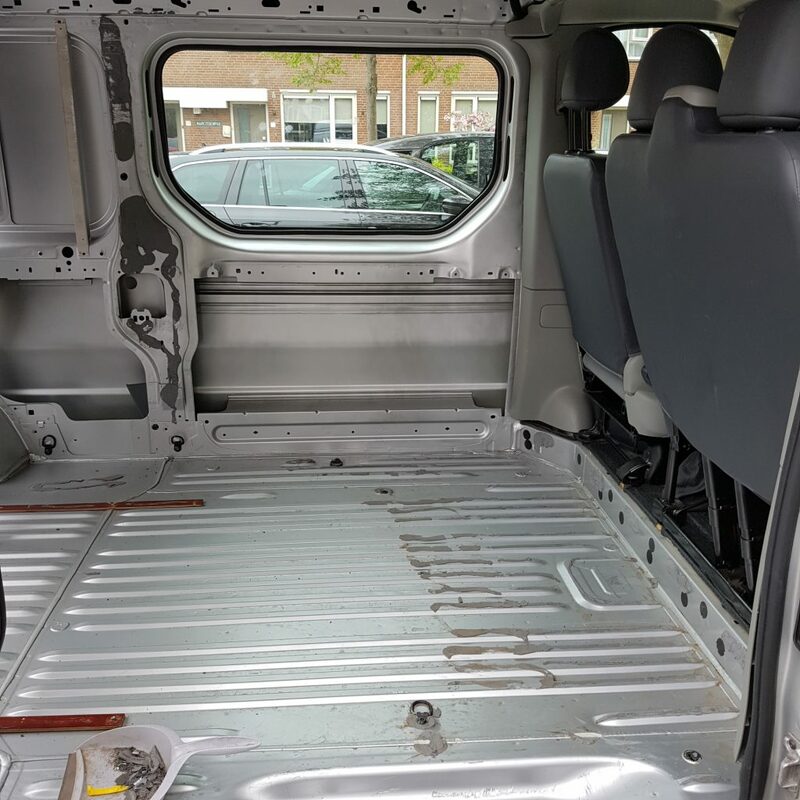 Check out this 1 minute video for an impression of the stripping the van. 4 Done stripping the van! The floor was attached with so-called “popnagels” or “pop-rivets” in English. They are made to last and knowing that, you can imagine how difficult they are to get out. The drill on the picture looks cute, but didn’t do the trick ;-). 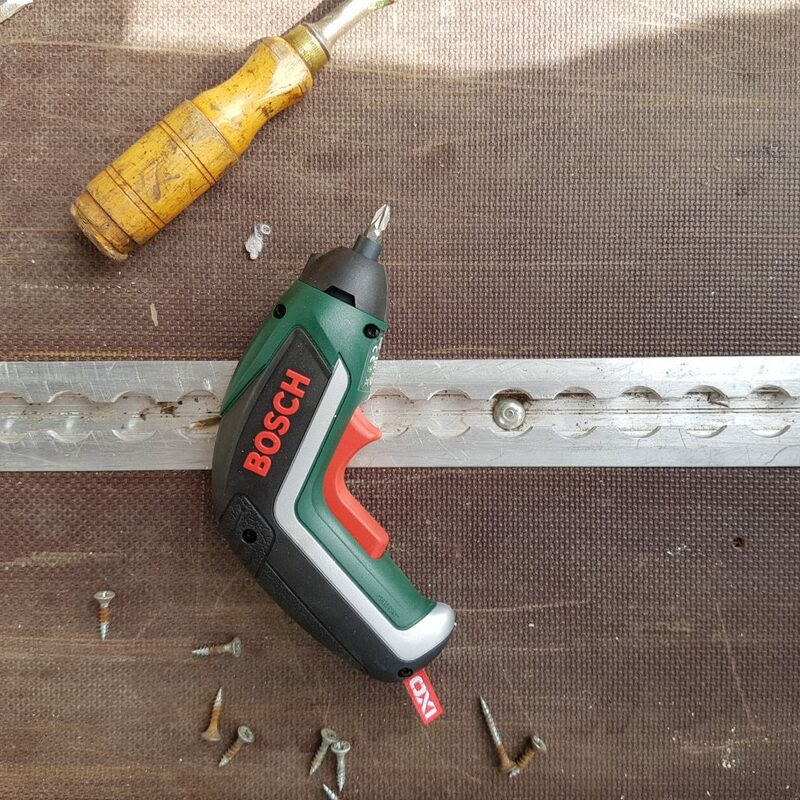 You simply have to break those nails, but it requires some muscle and a proper drill. Once they were out, it was quite easy to take out the floor! Then the fun part started. Obviously, the cabin is used to transport people so should be attached properly. Well I can tell you, it was attached properly!! I have never seen such solid and strong glue (kit) in my life. We started by taking off the wiring to make sure not to break it. When taking out the cabin, mind the wiring on top! After having removed all the nails and external fixtures we thought it would be relatively easy to take out the cabin. In addition, there was some time pressure. 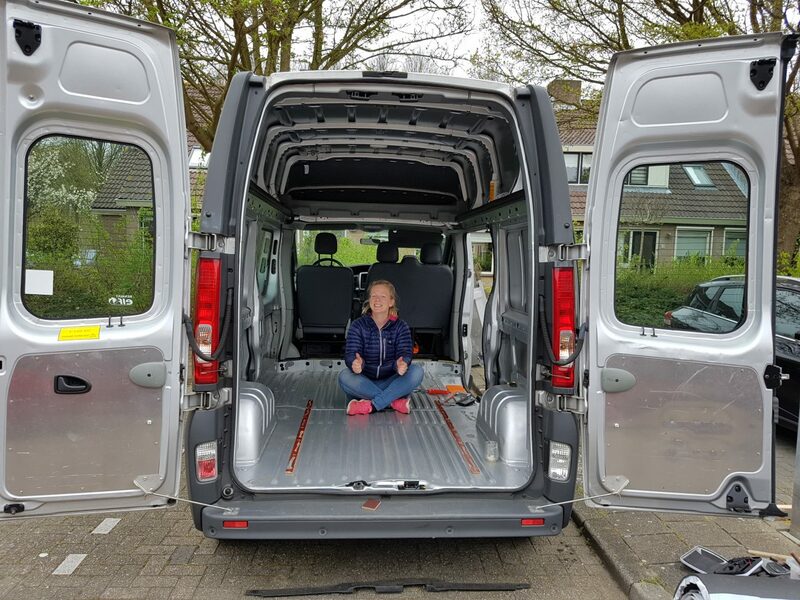 I had sold the entire backseat cabin including floor on markplaats (ebay) for €250 and it would be picked up next day! In the end, it took the largest part of the day to remove the glue and get the cabin loose. We cut, used a saw, even a shovel to get through this mess! And it was EVERYWHERE! Check out the last part of the video to see how much force we had to use to get the whole thing out. The Cabin is finally out! 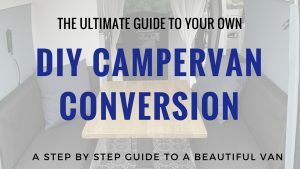 You’re probably full of energy at this point as you are just starting out with your van conversion! So the day will fly by ;-). I you buy a new, empty cargo van this job will probably be very easy. If it’s older, rusty or you are converting an existing campervan, this may take a lot more time! 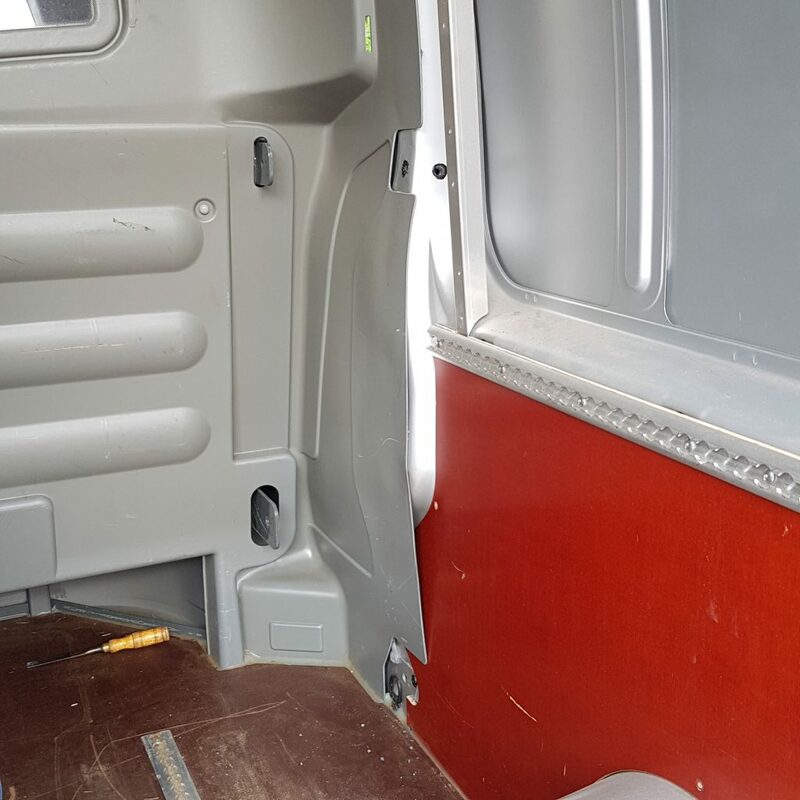 Why I loved stripping the van? 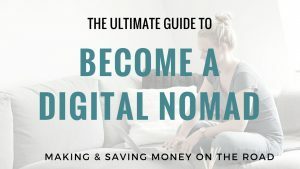 It’s the first step and you really get to know the van! How the existing wiring works, the shapes and odd parts of the van. It’s one big process of discovery. My only word of caution about this part: don’t underestimate this job. 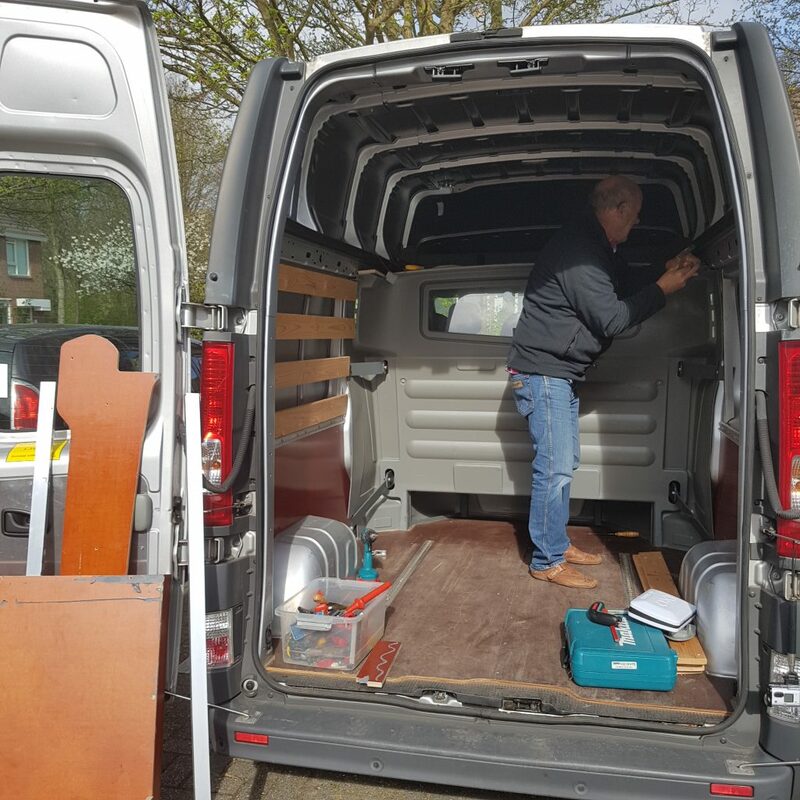 It’s a big part of your van conversion and it’s important that it’s done well. 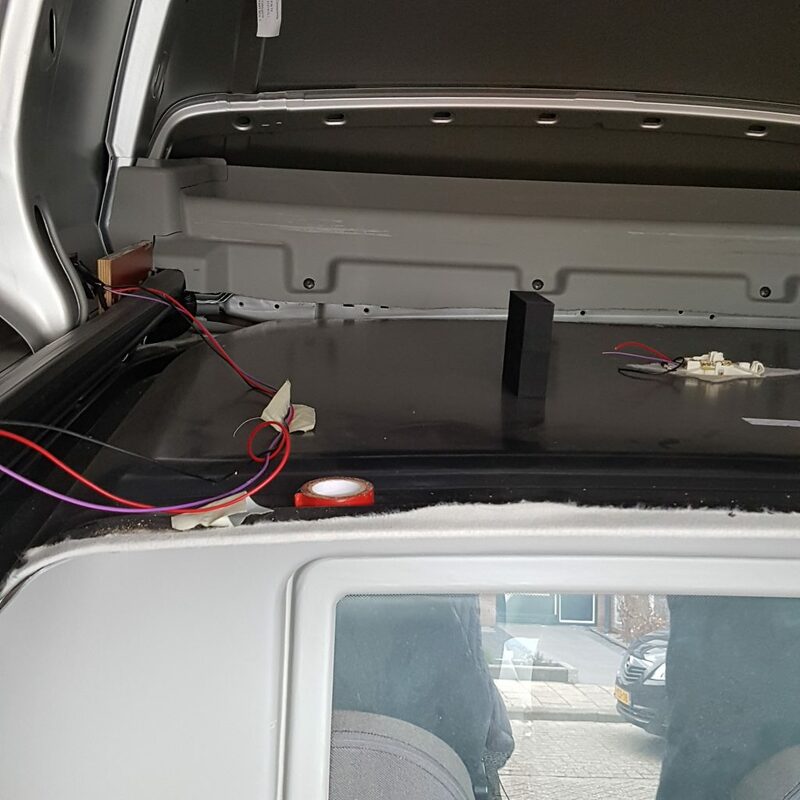 You don’t want have to go back to the beginning to remove something that you forgot while stripping the van. 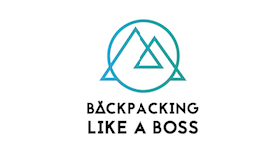 Otherwise, HAVE FUN! 🙂 Let me know if you have any questions about this part of the van conversion.